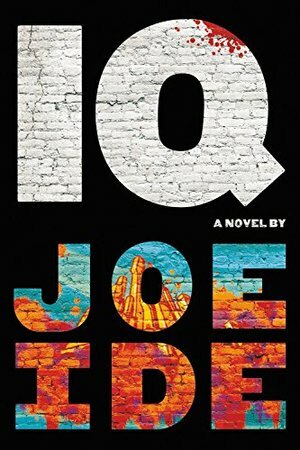 NOMINATED FOR THE 2017 EDGAR AWARD FOR BEST FIRST NOVELNOMINATED FOR THE 2017 ANTHONY AWARD FOR BEST FIRST NOVELOne of the Best Books of 2017 - The New York Times, The Washington Post, the New York Times Book Review, AmazonA resident of one of LA's toughest neighborhoods uses his blistering intellect to solve the crimes the LAPD ignores. East Long Beach. The LAPD is barely keeping up with the neighborhood's high crime rate. Murders go unsolved, lost children unrecovered. But someone from the neighborhood has taken it upon himself to help solve the cases the police can't or won't touch. They call him IQ. He's a loner and a high school dropout, his unassuming nature disguising a relentless determination and a fierce intelligence. He charges his clients whatever they can afford, which might be a set of tires or a homemade casserole. To get by, he's forced to take on clients that can pay. This time, it's a rap mogul whose life is in danger. As Isaiah investigates, he encounters a vengeful ex-wife, a crew of notorious cutthroats, a monstrous attack dog, and a hit man who even other hit men say is a lunatic. The deeper Isaiah digs, the more far reaching and dangerous the case becomes.